Blade Runner 2049Alcon Entertainment comic-con Movie News warner bros.
With footage from the highly-anticipated sequel expected to screen during Saturday’s Warner Bros. panel, the SDCC Blade Runner 2049 presence is already strong thanks to an open-to-all attraction in the heart of San Diego’s famed Gaslamp Quarter. CS got an early look at Alcon Entertainment‘s SDCC Blade Runner 2049 Experience and, in the gallery viewer below, you can explore the interactive attraction that replicates the movie’s setting, complete with the unique sights, sounds and atmosphere of Los Angeles, circa 2049! RELATED: Visit Our Comic-Con Hub for All the Latest Out of SDCC! Setting the tone, the experience begins as guests enter through a gallery of art from Blade Runner 2049. An Oculus VR experience, Replicant Pursuit, immerses visitors in the world of the film, but that is just the start: as the VR presentation ends, guests can walk into a neon-lit Los Angeles street scene. There, they should be prepared to experience what our potential future holds, including impromptu tests to determine if they are humans or replicants. The attraction also offers D-Box chairs inside an immersive 24-seat theater that serves as a portal to Blade Runner 2049‘s futuristic Los Angeles. The actual Spinner from the new film is on display alongside other Blade Runner 2049 vehicles. 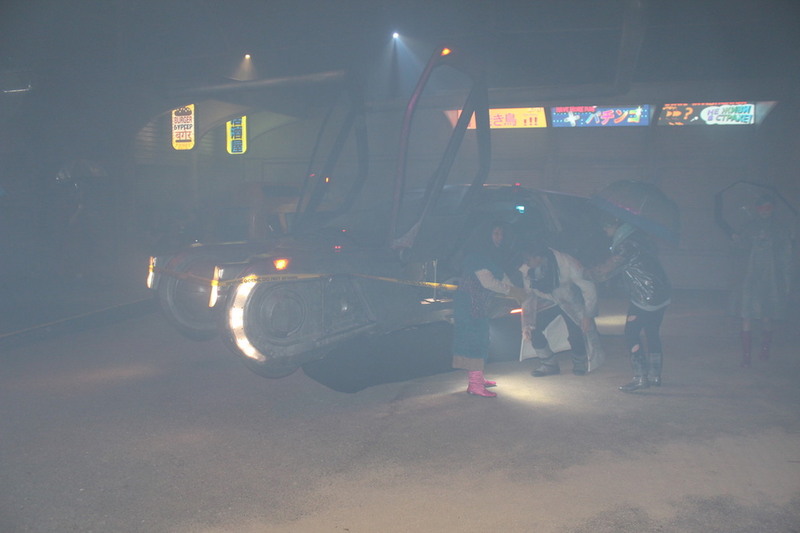 Costumes worn by the stars can also be seen and fans can see actors dressed in wardrobe from the film amongst the crowd, furthering the sense that guests have stepped into the Los Angeles of the future. Throughout Comic-Con, there will be giveaways and other surprises. The SDCC Blade Runner 2049 Exhibition also gives fans a peek of the limited-edition Johnnie Walker Black Label “The Director’s Cut” bottle, inspired by the original, elusive prop from the first film. Guests 21 and over also have the chance to enjoy a Johnnie Walker whisky tasting experience. RELATED: Warner Bros. Comic-Con Plans Revealed! 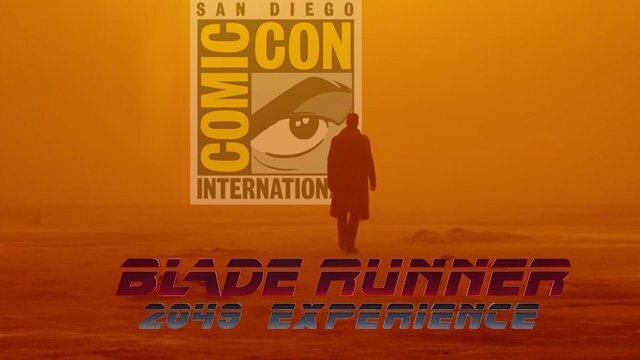 Located across the street from the Convention Center, where Comic-Con will be in full swing, the Blade Runner 2049 Experience will run from 10:00am to 7:00pm on Thursday and Friday, 9:00am a.m. to 7:00 pm, on Saturday, and 10:00am to 6:00pm on Sunday. Guests can register to enter at a specific appointment time or choose to wait in line; however, appointments can only be made for the same day. Admission is free.